This article is 89 days old. Elsa has faced a setback. Elsa was found on Wednesday, January 9th on a rural road in the town of Essex. Her body was so cold it was shutting down her organs, and she was convulsing. According to the Humane Society, even after her condition stabilized, she was still having difficulty walking. 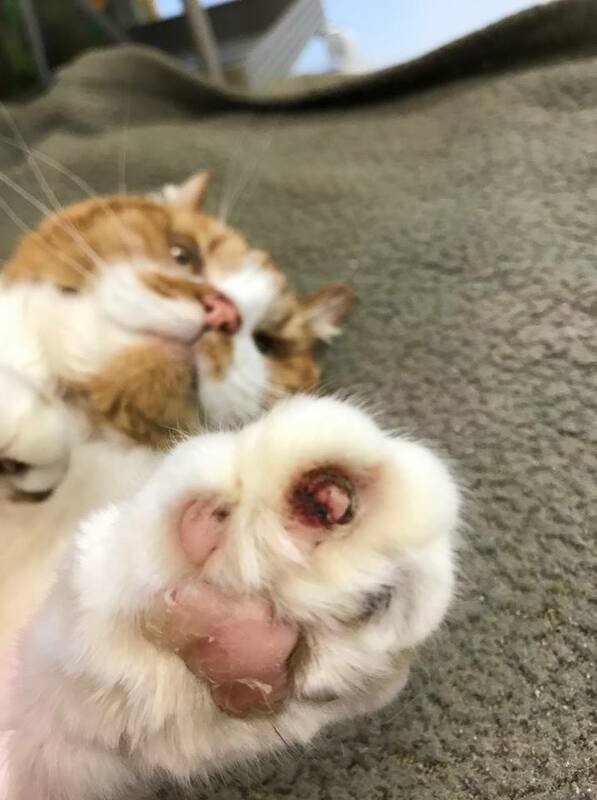 After they took x-rays of her paws, they found that she is suffering severe complications from being previously declawed, impacting the bones and tendons in her paws. This has likely been getting worse over time, they say to the point where now every step is painful for her. Doctors continue keeping her comfortable with medication, but the surgery to try and relieve her pain by repairing the damage as much as possible is risky and complicated. Given her already fragile condition, they say that it may be more than her body can handle. The veterinary team is consulting with experts on this issue. “Elsa needs all the healing vibes and good thoughts you can send her way,” the Humane Society said on Facebook.